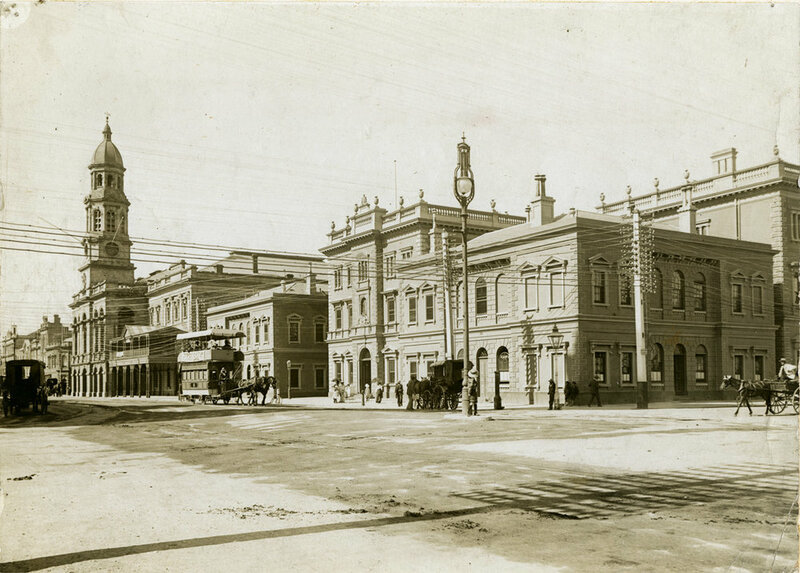 The former Treasury Building was built in stages from 1839 to 1907, with the section of the building comprising the bar and restaurant completed some time in 1860. Abundance, prosperity and opulence; 1860s Adelaide was a metropolis making her mark on global markets fuelled by the glamorous gold rush across the border in Victoria. The Treasury building in the heart of the city's financial district was it's heartbeat. During these times, around 327,000 ounces of gold was brought to Adelaide and was welcomed by large crowds in the courtyard. Some 157 years later, the grand Treasury building is unveiling a new era in its rich history: Treasury 1860, a food and social venue that blends modern hospitality and style whilst paying homage to one of South Australia's most important and lively eras. Treasury 1860 consists of three unique spaces, which have been developed in conjunction with award-winning interior architecture team Studio-Gram at the historic Adina Apartment Hotel buildings on the corner of King William and Flinders Street.